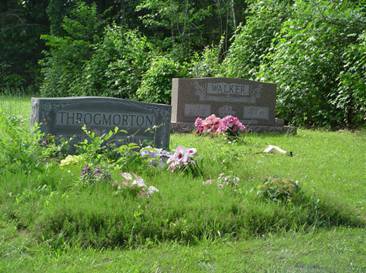 To reach this cemetery, travel north on Tennessee Hwy. #13 from the square in Waynesboro for .6 mile and turn left. Go .1 mile to TN Highway 64 and turn left. Travel 1.2 miles and turn right at the flashing caution lights. This is the Old Clifton Turnpike. Travel about 5.6 miles and the cemetery is on the road bank by the church.